3a Fragoklissias & Granikou str. In the global tax environment, what's most needed is also most elusive: Confidence. Deloitte helps clients anticipate change to see through uncertainty and decide on the future. From best practices to innovative tools, from regulation to strategy, from human capital to disruptive technology, Deloitte helps clients connect all the critical pieces for success. With many years of experience and hard work, the Greek tax practice offers a full range of tax services, employing more than 180 professionals. In the last years, the Greek firm also expanded its service offerings to legal services. Our dedicated team of experienced lawyers offers clients legal services and advice particularly in the areas of corporate and commercial law, mergers and acquisitions, management consulting and data protection. Our tax professionals advise large local and foreign enterprises on their tax & legal issues and offer effective solutions to manage tax issues. Our approach combines insight and innovation from multiple disciplines with business and industry knowledge to help companies excel globally. 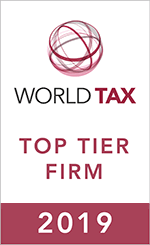 Our tax services are fully integrated, spanning from business tax, mergers and acquisitions, global investment and innovation incentives and transfer pricing to global employer services, indirect tax, business process solutions and legal services. At Deloitte, we aim to be the best at all that we do–help clients realize their ambitions; make a positive difference in society; and maximize the success of our people.